The end is in sight for Vulcan XH558. Sunday, October 4 saw the much-loved bomber's final public display at Old Warden, with just a couple more sorties planned before the chocks go under the wheels for good. 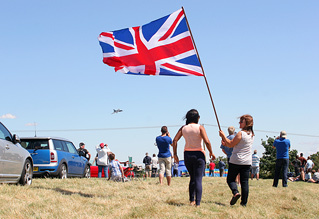 Beyond that, it appears her future lies at Doncaster Robin Hood Airport as part of a controversial engineering academy, which flies in the face of popular opinion. Present at her first flight post-restoration in 2007, and witness to that last display at Shuttleworth, Dan O'Hagan offers this heartfelt retrospective on '558's "second life" and looks ahead at her future. October 18, 2007. A day which sticks in my memory as clear as any other I can think of. Two hours fitful sleep in an M1 service station car park somewhere south of Leicester, then arriving at Bruntingthorpe under gin-clear autumn skies to see something quite extraordinary. I remember rushing home afterwards and hastily e-mailing a photograph to a friend. I've never forgotten his response: "Wow. Look at that. A flying Vulcan". And that X-factor of otherworldliness, fittingly, is something XH558 never, ever lost. Whatever unfolded over the intervening eight years, however our patience, support and loyalty has been tested, seeing that shape lurking on the horizon was never anything less than a "wow" moment. 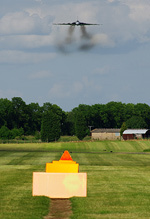 That first take-off in 2007. To see air beneath her wings. To hear the aircraft's engines pushing her skywards. It was like a time machine back to the carefree days of childhood. The most glorious nostalgia trip, and as addictive as any drug. She's the troublesome partner you'll forgive almost anything, the cantankerous old car you can't bring yourself to replace. Over seven summers, the Vulcan has brought joy to millions - that is undeniable. A great, hulking, roaring, screeching V-Bomber, living and breathing, belching black smoke and a noise like an especially rowdy stag do in Hell. Not just a Vulcan, or even the Vulcan, she is our Vulcan! There is nothing else in the world of historic aviation quite like it. Nor will there be again. In these post-Shoreham days, rightly or wrongly vintage jets are to be the sacrificial lambs. Dr Robert Pleming and his team had to jump through hoops in order to get the return to flight project even started, let alone finished. Try convincing the CAA today that you'd like to restore and operate a complex ex-military jet on the civil register and see how far you get. And that's before you talk about insurance, and before the Daily Mail gets wind of your plans. 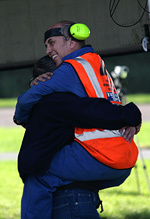 As the curtain comes down on XH558, this truly is the end of an era in aviation preservation and historic flying. Never again will a four-engined jet bomber fly in civilian hands. 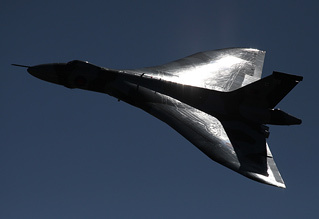 And almost certainly nor will a pure-British designed four-jet take to the skies. Dr Pleming has always been an easy target for the project's critics. He's not always helped himself, but here we sit in October 2015 and the man has achieved what he set out to do. For that he deserves nothing but praise. To successfully take on the most ambitious return-to-flight project in aviation history, and to keep the gas-guzzling, politically-incorrect behemoth flying for eight years, with a most impressive record for serviceability and safety (a couple of silica bag trashed engines and a sticky nosewheel aside), in the face of global financial recession and no title sponsor is an almost superhuman achievement in hindsight. Yes, the project's lifetime has been punctuated by the annual brinkmanship of the pleas for money, the "begging bowl" of enthusiast shorthand, but people gave, and gave repeatedly. The cupboard never ran completely bare. The display flying was, for those of us old enough to remember the pre-retirement displays first time round, disappointing more often than not. Not aggressive enough, nor noisy enough most of the time. Of course there were exceptions. Kev Rumens' virtual wringing of the jet's neck on the Saturday at RIAT 2015 has entered airshow folklore - and will never, ever be forgotten. But that was before Shoreham. Perhaps in hindsight tame and gentle was always best, whatever the machine type. But that's another discussion for another day. Besides Dr Pleming, so many names need mentioning. 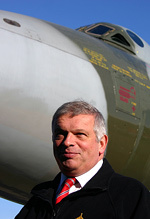 Firstly, and arguably most importantly, should be David Walton at Bruntingthorpe who had the vision to buy not just the aircraft, but the RAF's spares inventory back in 1993. Taff Stone, Andrew Edmondson and the engineering team who have kept her ticking over with that remarkable record for reliability. The aircrew, led by Martin Withers DFC, but abetted by names including the aforementioned Rumens, Phill O'Dell, Bill Ramsey and Bill Perrins. They, and many others behind the scenes, have often come in for criticism - much of it warranted, but some of it unfair. 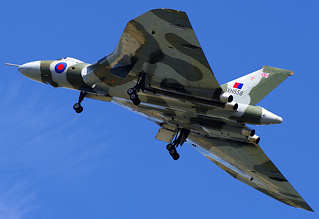 All deserve praise for their positive parts in the Vulcan's remarkable eight-year hurrah. 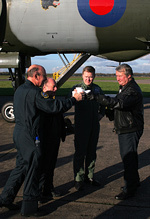 So, what now for XH558? With just this weekend's two-day aerial tour, and vague mentions of a "final flight" on the Vulcan To The Sky Trust website, her flying days are dwindling fast. The mandatory design, engineering and engine support authorities have all withdrawn their backing, and so according to the terms of her Permit To Fly, beyond October 2015 she will be grounded, for good. And this is where the story takes a rather uncertain turn. Not a single soul outside of VTTST seems to support the idea, but the plan is, against the wishes of the majority, to keep XH558 at her current home in Doncaster, at the former RAF Finningley. 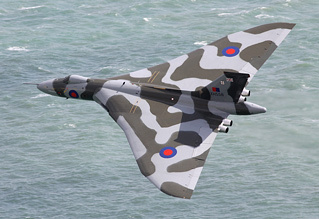 There, an aviation academy will be built with the Vulcan (despite being 60 year old technology) as its centrepiece. Somehow, in these security-intense post 9/11 days, on an active civilian airport it is planned to invite the general public to watch fast taxy runs. At an airport which, apparently, wants people to stay as far away as possible from the last few Vulcan flights for fear of causing traffic meltdown and jamming all crash gates. Does this sound even remotely likely to ever succeed? Are VTTST merely signing the airframe's death warrant before the inevitable failure of the academy, mounting of parking fees and subsequent unseemly legal wrangles and ultimate scrapping of an aeroplane which is, in a very real sense, loved by thousands of people, many of whom have donated to her upkeep. Repeatedly they've been told this is the "People's Aircraft" - but now, when XH558 needs them most, those people's opinions are neither valid nor wanted. A return to Bruntingthorpe would be the perfect ending to this chapter of XH558's story, and not just for the symmetry of a return to where her second life began in 2007. Home to a vast array of fellow Cold War types, she'd be in good company at a location in a central position close to the hub of the motorway network. Any monies left over from the flying portion of the project could be invested in some kind of cover for her. Of course a stumbling block could be the Trust's unknown relationship with Bruntingthorpe's owner Walton, but for the good of the aircraft, "Brunty" appears to be not just the popular choice among the enthusiasts, but the ONLY realistic one for keeping the machine live while allowing the public good, close access. As XH558 prepares for those final, emotional sorties, we must hope for an eleventh hour change of heart from VTTTS, however unlikely that might be. Doncaster is a dead-end. A one-way street to the scrapman's axe. When the money runs out there, the aircraft's future is bleak, and the end would be swift. Moving a Vulcan by road is a cripplingly expensive proposition. Please, Dr Pleming, send her home while she can still fly, back to where she belongs, to Bruntingthorpe. You gave '558 a second life - do the right thing now, and give her a third one.